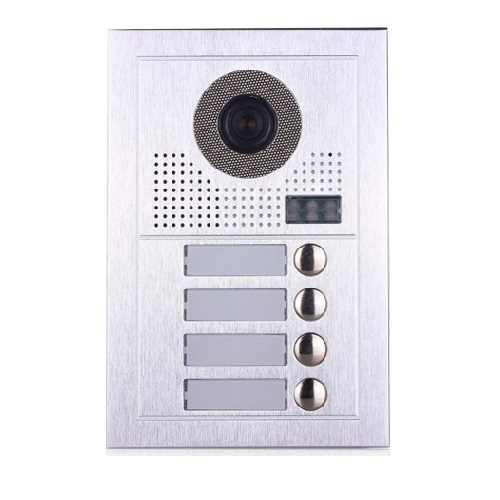 The MT Series Video Intercom System is our affordable security product for four tenant units. Properties with up to four entrances can benefit from the installation of this system. The four tenant video intercom system uses 2 conductor 18awg minimum cables for video, intercom and power. 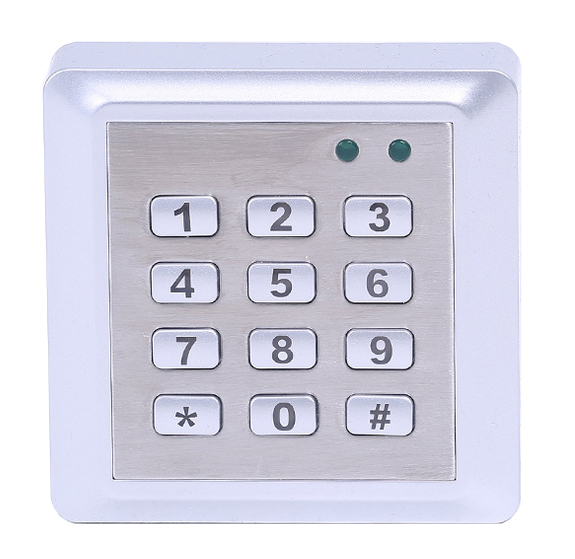 Up to four doors or gates can be securely guarded with the four tenant video intercom system. 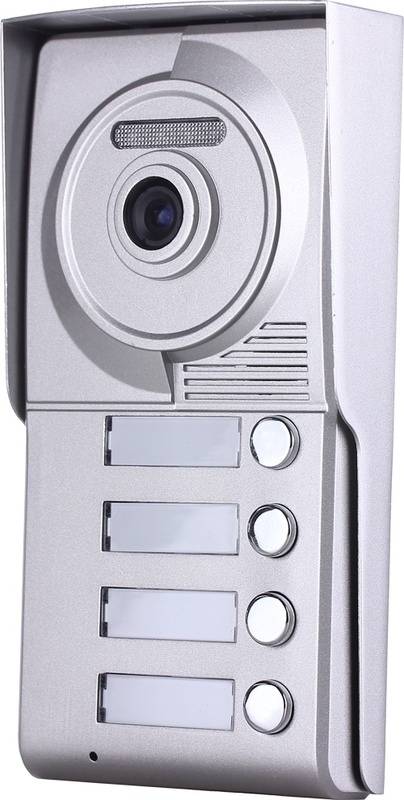 The MT Series Video Intercom System features the ability for residents to visually identify visitors requesting entrance. Monitors can safely allow the right people to enter with the use of our four tenant video intercom system. Our video intercom system monitors have many features that will assist your facility’s security needs. 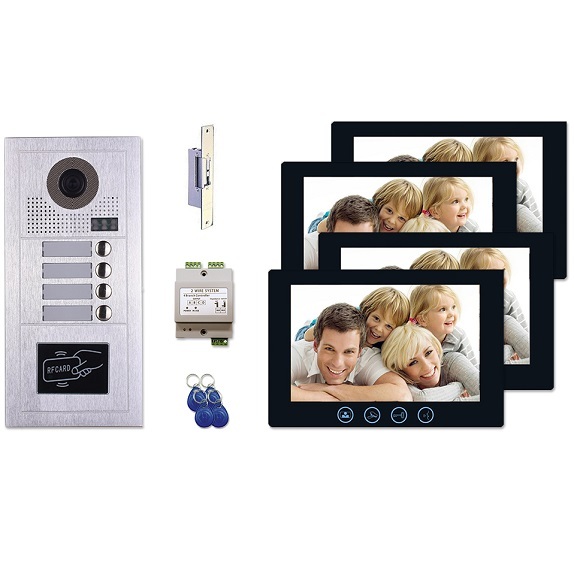 The four tenant video intercom system is capable of connecting up to four video monitors. The screen sizes span from 7 inches to 10 inches and have useful auto viewing capabilities available. Supervisors have the ability to unlock doors via a button installed on the monitor. They also can control the volume and adjust the brightness from the monitor as well. Picture memory is a unique feature that some monitors have that saves the last 100 photos taken. These pictures are saved with time stamps and dates for future purposes. Up to two camera door units can be connected to our MT Series Video Intercom System. The video door entry camera stations have four buttons, one for each tenant unit. These cameras have infrared night vision abilities in order to provide 24 hour surveillance. One of the four tenant video intercom system door stations comes with a built in card reader. 12 VDC electric strike locks can be wired to door entry units without needing an extra source for power. Low-voltage LED lights can be wired into the four tenant video intercom system which will light up when a unit has been called. 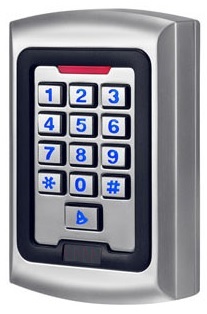 Properties that have a four tenant video intercom system installed can be assured that they are well secured.